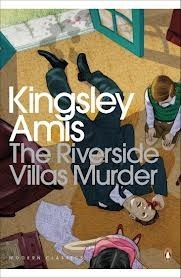 I’m not a big follower of book prizes although I like the Bailey’s Prize and usually try & read the Booker winner. However, the annual Stella Prize, which started in 2013 and awards outstanding Australian women’s writing, has lists which always look fascinating and wide-ranging. Currently the 2018 long list has been announced and the shortlist will be revealed on International Women’s Day, 8 March. I hadn’t read any of the winners and obviously this enormous oversight needed correcting. Also, Kate at Booksaremyfavouriteandbest’s wonderful reviews of the last two winners convinced me I needed to rectify this sooner rather than later. 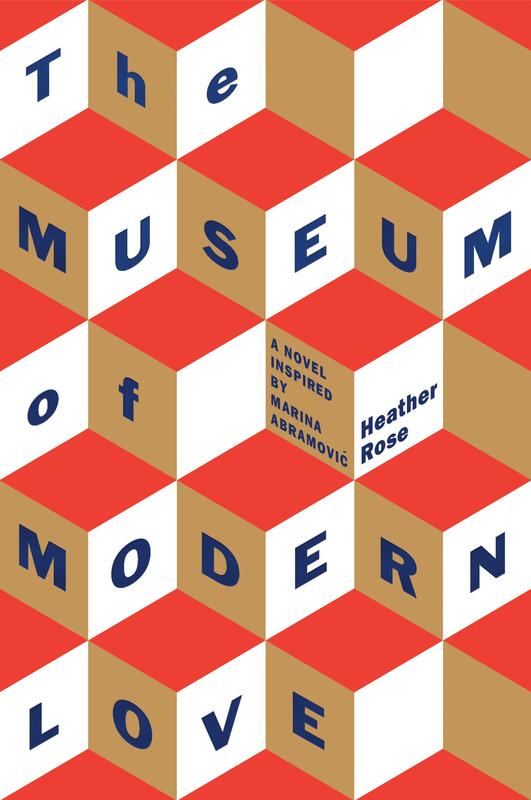 The 2017 winner was The Museum of Modern Love by Heather Rose. You can read Kate’s review here. It is an extraordinary novel, centred around the real-life event of The Artist is Present by Marina Abramovic, a 2010 performance art installation at MoMA in New York, which you can read about here. Arky attends the installation for each of the 75 days it is in situ, and during this time he witnesses the profound effect the installation has on people. Marina sits one side of a table, and the public volunteers sit opposite her one at a time, gazing into her eyes. They can stay for as little or as long as they want, but they must make eye contact. Such a simple but incredibly powerful idea, and the installation was a smash hit. Similarly, Rose uses a simple writing style to explore massive themes: love in many guises, loss, art, the desperate need for meaning in life and how we locate it. Arky learns about other and himself simply by sitting and watching the installation. The Museum of Modern Love, as the title suggests, is a love story, but not in the traditional sense. It is not a romance between two people. Instead it is a love story about people and all they can give to one another, as lovers, friends, relatives, artist and spectator. It is life-affirming without being sentimental. Rose acknowledges there is pain for people, but suggests that we have to get out there anyway, engage in acts of love in a myriad of ways, find connection and transcend. 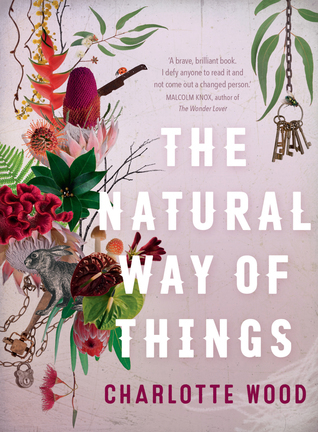 In 2016 the winner was The Natural Way of Things by Charlotte Wood. You can read Kate’s review here. I wish I’d read The Museum of Modern Love after this, as it would have been a good aid to recovery. The Natural Way of Things is brutal, shocking, urgent and without doubt one of the most powerful books I’ve read in recent years. It has absolutely stayed with me. A group of young women are kidnapped and held hostage in a large, bleak piece of land in the outback, surrounded by an electric fence. There is no escape, and gradually they realise no-one is coming for them. As food supplies dwindle and illness threatens, the women fight for survival in their various ways. Their jailers are pathetic and inept, but also men and they hold the power. The Natural Way of Things is about how society figures men and women, where power lies, how that is wielded and how predator and prey lies barely concealed in human relationships. It is beautifully written, perfectly paced, and absolutely terrifying. 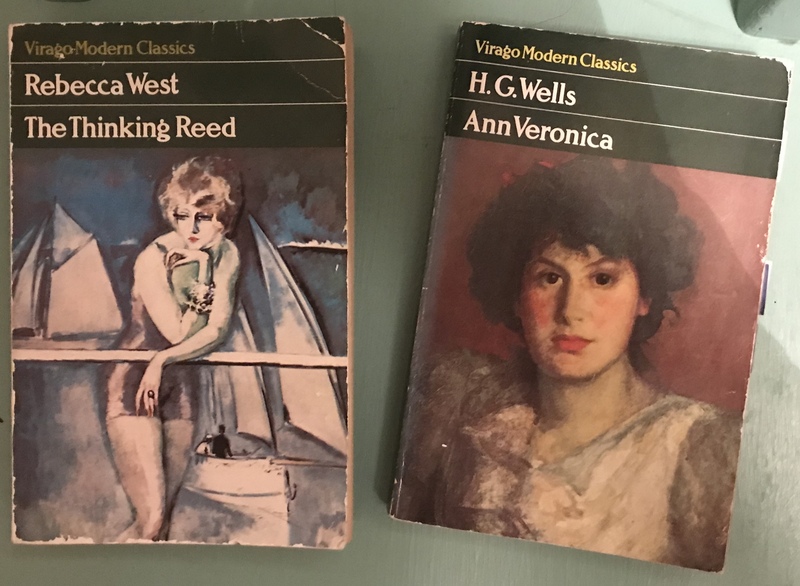 Last week I looked at The Enchanted April, so this week for May Day I thought I’d look at another Virago that helpfully has the current month in the title, Frost in May by Antonia White (1933). 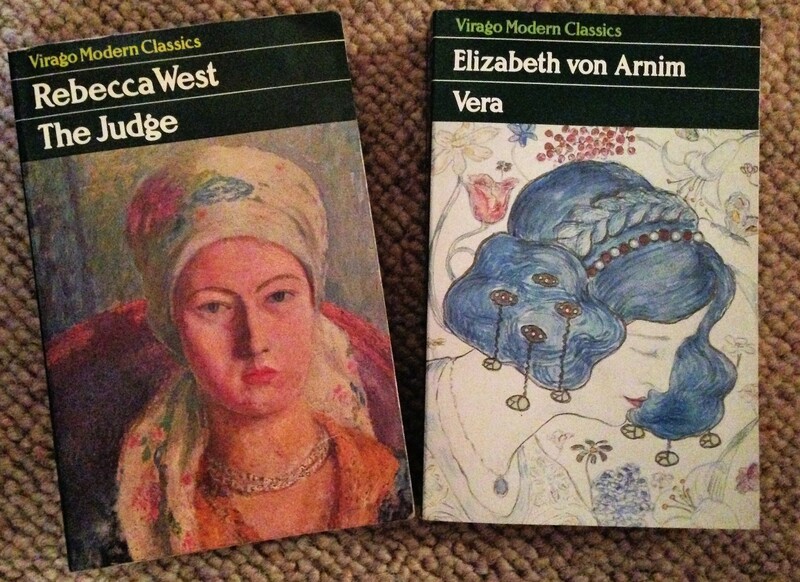 Virago was founded in 1973, with the Modern Classics imprint starting in 1978 “dedicated to the rediscovery and celebration of women writers, challenging the narrow definition of Classic”. 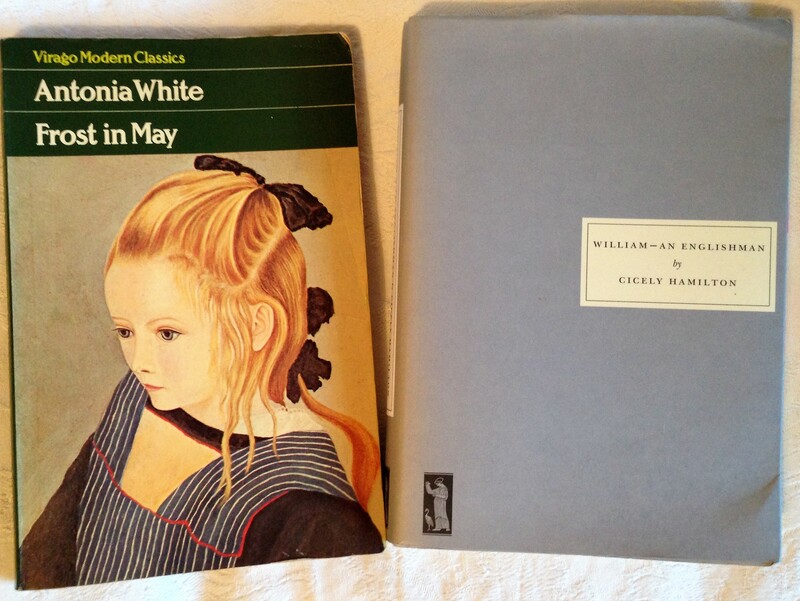 Frost in May was the first Modern Classic title, so for this post I’ve paired it with the first Persephone title, as Persephone, founded in 1998, have a similar remit to publish lost or out of print books which are mainly written by women. As Nanda becomes older, she begins to struggle with her faith, although there is never a sense that she will abandon it all together. Rather it is the story of a young person trying to find a true sense of meaning within her faith, rather than without it. 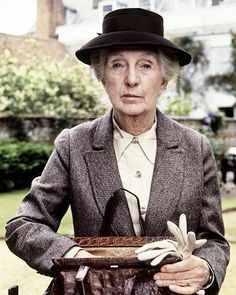 Frost in May is a short novel and a quick read, and I can see both why it was marginalised and why Virago chose it to launch its Modern Classics imprint. It is easy to overlook: a school story in which little happens, five years in a young girl’s life and no intrusive authorial voice to proclaim any wider profundity beyond the immediate story. Yet it has plenty to say about what is profound for the individual, the influences and experiences that shape us and leave an indelible mark. White’s light touch should not be mistaken for a lack of something to say. Secondly, William – An Englishman by Cicely Hamilton (1919) who was a suffragette and wrote this novel during the last year of World War I. The eponymous Mr Tully is a young man who prior to the war is a socialist, fired less by idealism and more by the need for something with which to occupy himself. Hamilton does not baulk from the realities of war – of which she had first-hand experience – and it is shown as bloody and brutal. The satire falls away as William becomes the everyman caught up in circumstances far beyond his control. Hamilton’s master stroke is that the things she satirised – William and Griselda’s lack of understanding, ignorance and youthful certainties – become the very things that drive home the human tragedy of the war. They are ordinary people who just wanted to live the life they imagined for themselves, and their powerlessness and profound losses are what makes this so very sad. The devastation of World War I is left in no doubt. Today’s post is the latest in a series of occasional posts where I look at works from Le Monde’s 100 Books of the Century. Please see the separate page (link at the top) for the full list of books and an explanation of why I would do such a thing. 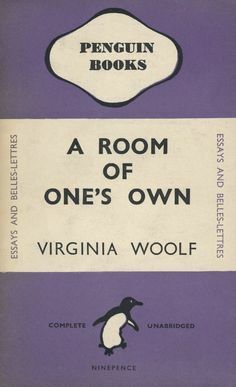 A Room of One’s Own grew out of lectures Virginia Woolf was asked to give at Newnham and Girton Colleges, Cambridge, in 1928. You can read the full essay in various places online. Women were only officially admitted to the university in 1948, and the fact that these talks were given 20 years previously shows just how ground-breaking Woolf was. 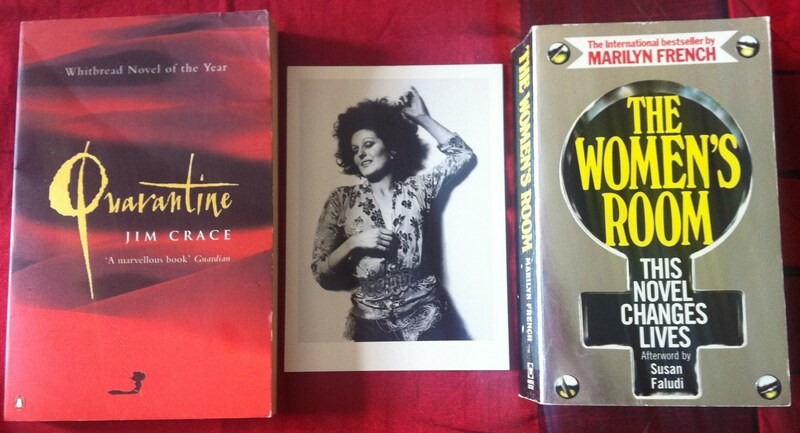 A Room of One’s Own is a vital proto-feminist text that remains relevant today. The fact that you can buy bags, pillows, tea towels, deckchairs, mugs, notebooks ad infinitum with the book cover on is an indicator of how much the central image continues to speak to people, as well as the arguments themselves. As my extensive quoting shows, I think this is a fantastic essay, well worth reading. It isn’t flawless, it’s culturally biased towards the speaker and her audience: middle-class, white, Western women. But Woolf never claims to have all the answers: “women and fiction remain, so far as I am concerned, unsolved problems.” (I think the idea of women as an unresolved problem is ironic and assertive, not derogatory?) A Room of One’s Own highlights enduring problems, relevant to both genders, of how to claim societal freedom that will permit individual voices to be heard. It also makes me very glad that I am a woman in this day and age; I may be embarrassed at how ridiculously over-educated I am (a perennial student) but at least I had the choice to become so. I didn’t plan for the theme for this week’s post to be feminism, but then my weekend consisted of thinking of little else, so I decided feminism it had to be. So, what happened this weekend? I watched Caitlin Moran being interviewed by India Knight as part of this year’s Hay sessions, Beyonce’s Chime for Change concert was televised, I read an interview with Joss Whedon talking about Buffy as a role model and why he didn’t want her turned into a doll, there was an article about feminist activism in the digital age. Then I switched on Radio 4 for Book Club and the author was discussing his creation of strong female characters (more of that later). 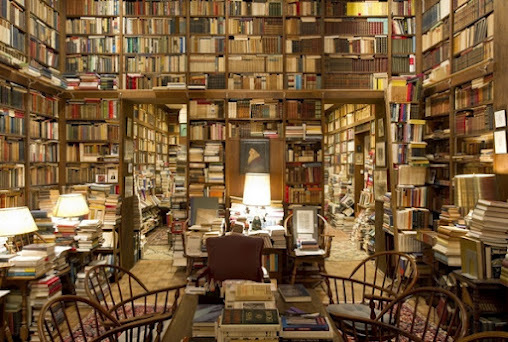 Once I’d decided on the theme for this post, I wondered if this meant branching out from discussing fiction, as I gazed at my bookshelves trying to decide between Germaine Greer, Susie Orbach, Caitlin Moran, Naomi Wolf, Natasha Walter… but then I realised I was being incredibly short-sighted. I wanted this blog to be about fiction and there was no reason to change (but I still wanted to name-check a few authors, please check them out if you haven’t already). Feminism is about the world we live in, and fiction writing and reading is part of that – for some of us, a huge part… So, fiction it is. I’ve chosen one classic of feminist literature and one less obvious choice. Also, one by a female author and one by a male, because I don’t think feminism is about the exclusion of men (that’s just made me think of another recommendation, Feminist Ryan Gosling by Danielle Henderson, a great gift for the feminist Gosling fan in your life, of which surely there are many). Let’s smash the patriarchy! In some ways The Women’s Room has dated. Things are different to how they were in 1977. In other ways it hasn’t dated at all and the things that its angry about are still a source of inequality today; as a novel that looks at how “women’s work” is undervalued, it is entirely current as long as gender pay gaps persist, which they do. The Women’s Room is an approachable way to start to look at feminist issues through narrative. The word quarantine comes from the Italian quarantena, meaning 40 days, and so the title takes on a layered meaning. The characters are in quarantine from the rest of society for various reasons, including Jesus spending forty days in the desert as part of his spiritual journey. Quarantine is a haunting, beautifully written novel about characters on the outskirts, who are given a space of their own within this story.